Price: $2300 or trade for smaller car that is manual transmission. preferably integra, prelude, bmw, or something else along those lines. New inspection as of 10 Jan 2015. 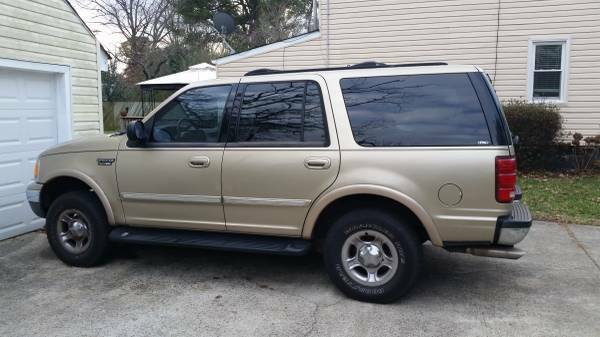 Description: I have 1999 ford expedition xlt awd with high miles on it. I drive this car daily and I have driven it to new york and missouri several times. I no longer need something so large and would like to down size. I am getting it inspected this weekend so it will have a fresh sticker on it. va driven will not accept my pictures at this moment so I will try again in about an hour. but i can text them to anyone that wants to see it. Last edited by CGRacer; 01-11-2015 at 02:39 AM.